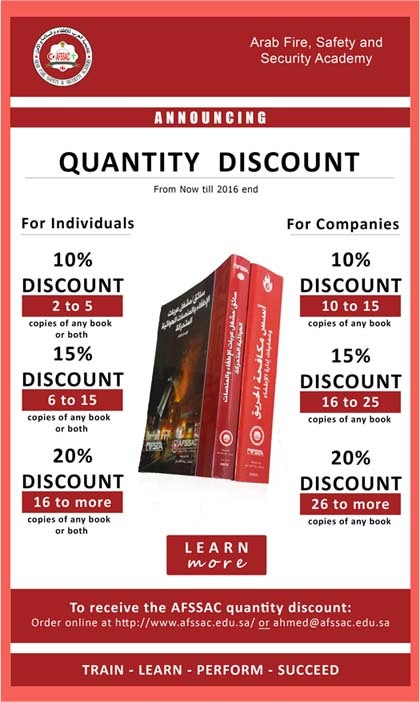 Arab Fire Safety & Security academy offersExtensive occupational health and safety training course that is a qualifying program . Who should take this Extensive occupational health and safety training course ? Those who works in safety and occupational health field . Those who are assigned to periodical field inspection, monitoring and the assigned from government. Qualifying nationals cadres of highest levels of efficiency in inspecting for safety and occupational health precautions in the workplaces. Identify the origins and the importance of safety and occupational health and as science taught at all levels of the world. Identify global and local occupational safety and health systems and methods of applying them. Understand the scientific and technical specifications for the safety man. Clean and order in the workplace to achieve safety. Use inspection equipment for the occupational hazards. Identify ways, methods and type of ventilation in the workplace and get rid of the gases dust, vapors and fumes. Identify methods of collecting, disposal and treatment of industrial waste. Implement procedures and methods of preventing the risks at the work environment. Identify the causes of occupational diseases and how to protect from these diseases. Identify the types, purposes and tasks of personal protective equipment. Identify occupational hazards and methods of prevention. Recognize technical and personal causes of accidents and injuries at the work environment. Analyze the causes of accidents and their consequences. Gather information from reports and records of accidents and make annual and semi-annual statistics for accidents and work injuries. Occupational health and safety legislation, according to OSHA. Incidents (definition – causes – effects- safety requirements to prevent them) . Close and label sources of energy. Factors and causes of occupational diseases. Medical examinations system and Industrial Psychology. Occupational risks and prevention methods. Basic principles of first aid. Educational level: General secondary Certificate and its equivalent. – Each trainee passes the course, gets a certificate from the Arab Fire, Safety and Security Academy locally approved by the Technical and Vocational Training Corporation. – Accreditation validity of three years. * Duration of the program: three months – six training sessions daily -360 training sessions (50% theoretical 50% practical). * Training language: – Arabic in addition to English scientific terms. 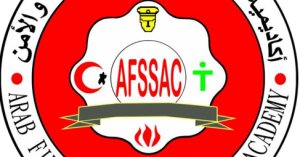 * Place of training: – Arab Fire, Safety and Security Academy in Jeddah. Program duration : 12 week. in which fields do you want to study ?